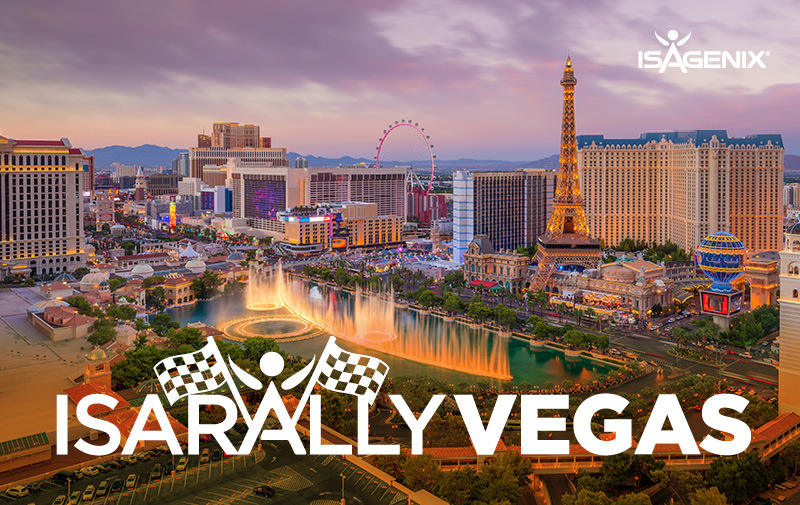 We are thrilled to announce IsaRally Vegas, an exciting promotion where you can win a trip to Celebration 2017 in Las Vegas for growing your business! Celebration is the biggest Isagenix event of the year where Associates from all around the globe converge in the entertainment capital of the world for a fun-filled week featuring exciting announcements, training from the some of the best and brightest in Isagenix and a chance to meet and network with like-minded Associates from all over the world. IsaRally is a contest which awards points for completing certain business-building activities like growing your team, developing as a leader and helping those in your team reach new milestones within their own business. For full details on how you can earn points, please see the IsaRally flyer. The contest begins on 15th May 2017, just in time for the market soft launch, and ends on 25th June 2017 at the UK Grand Opening event. During that time, you will want to grow your business and develop your team earn as many points as possible. The top 20 point earners will earn this once-in-a-lifetime trip! You already have! All Associates registered in the UK are eligible to participate, and the top 20 point earners will win this amazing prize. For more information, see the IsaRally flyer. More details on how to work towards topping the IsaRally leaderboard and use the IsaBody Challenge as a tool can be found here. Will you be joining us? Now is the put your ideas into action and hit the ground running on your journey to success!